By Charles Sumner. Written by one of America’s most famous slavery abolitionist activists of the mid-nineteenth century, this astonishing book provides a fascinating insight into a period of history now largely suppressed from view by political correctness—the time when at least one million Europeans were seized and sold into slavery by the nonwhites of North Africa. 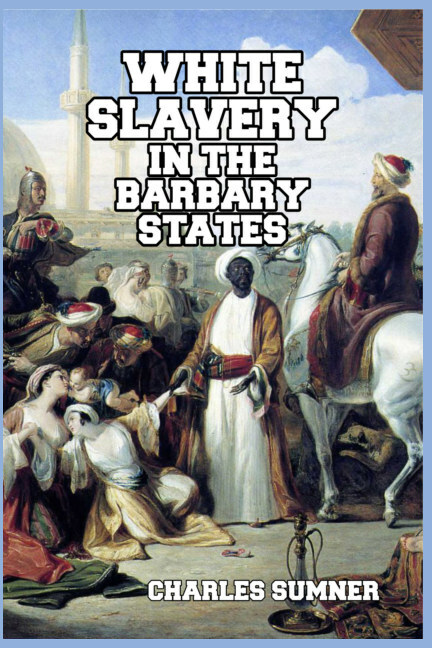 The author provides a full background to the Islamic slave trade in white people and includes little-known details such as how the Muslim pirates even seized groups of Pilgrims on their way to North America. “Their corsairs became the scourge of Christendom, while their much-dreaded system of slavery assumed a front of new terrors. Their ravages were not confined to the Mediterranean. They penetrated the ocean, and pressed even to the Straits of Dover and St. George’s Channel. From the chalky cliffs of England, and even from the distant western coasts of Ireland, unsuspecting inhabitants were swept into cruel captivity. . .
A remarkable work which contributes to a greater understanding of the mentality behind slavery—and the reality that Europeans were as much victims of this evil practice as any other people. About the author: Charles Sumner (1811–1874) was a senator for Massachusetts who was one of the leaders of the abolitionist movement in pre-Civil War America. 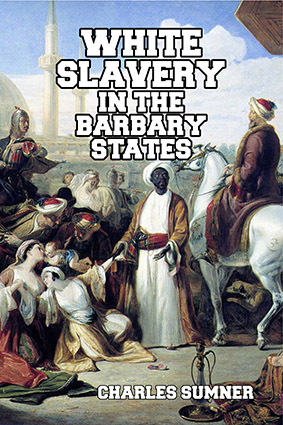 A radical reconstructionist, Sumner actively sought the destruction of racial segregation and even sought to remove the word “white” from American naturalization laws—which made his work on white slavery in the Barbary states even more remarkable and, later on, his most suppressed work.